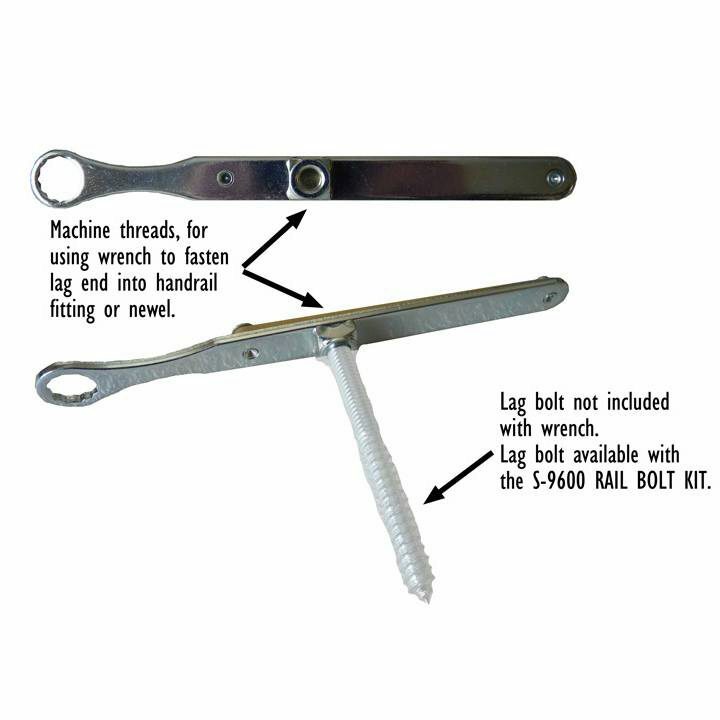 The above products are recommended for installation or mounting of the 3901 Rail Bolt Wrench. 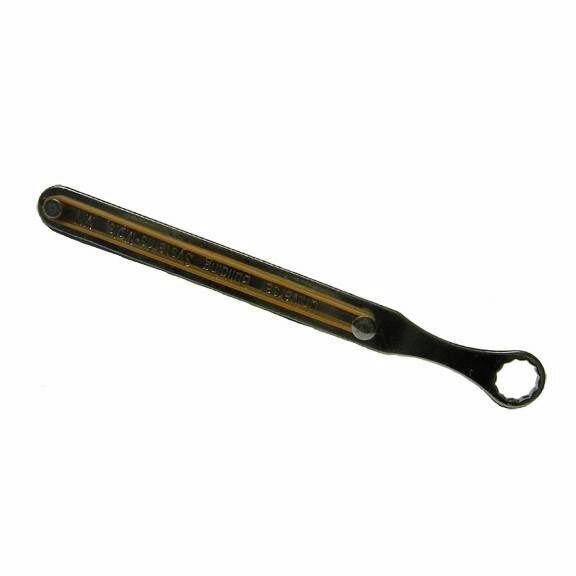 The 3901 Rail Bolt Wrench is the fast and easy way to install rail bolts. Rail bolts are used to attach handrail to handrail fittings, or handrail to newels. #1: Machine threads allow you to screw lag end of the tool into handrail fittings or newels. 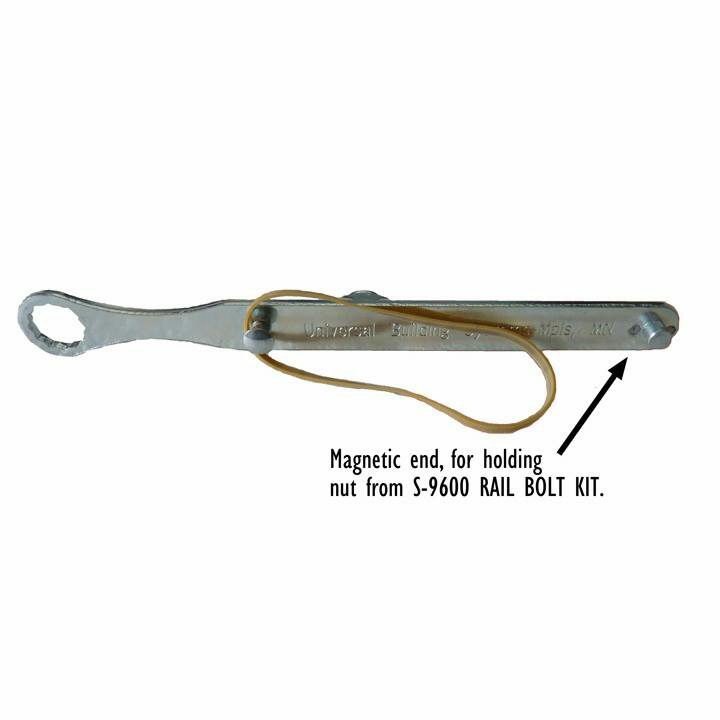 #2: Magnetic end allows you to easily position nut from S-9600 Rail Bolt Kit. 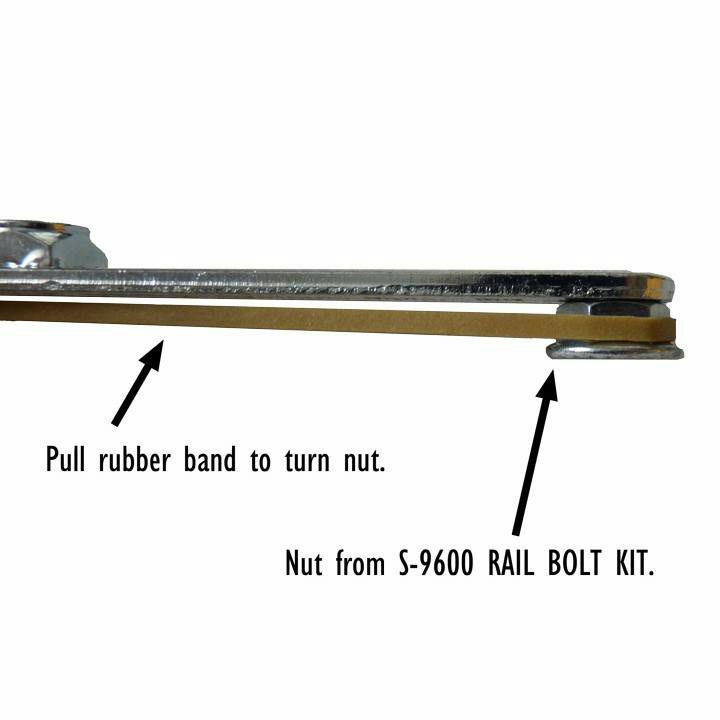 #3: Pulling rubber band allows you to start tightening nut from S-9600 Rail Bolt Kit. #4: Wrench end allows you to completely tighten nut from S-9600 Rail Bolt Kit. For precise instructions click on “Installation info” on left side of page (under main product image). Is this a 1/2″ bolt wrench? 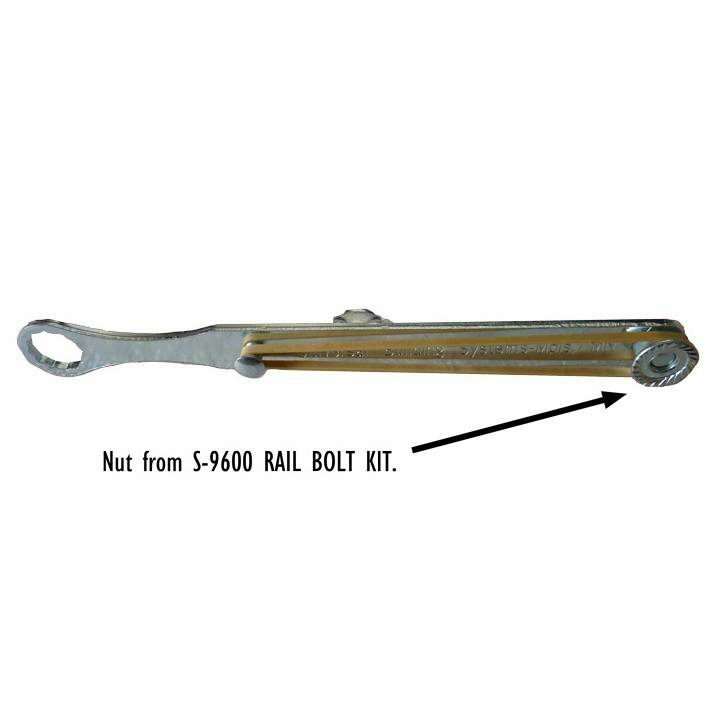 That is correct, this is designed to be used with our rail bolt kit, which is a 1/2″ bolt.